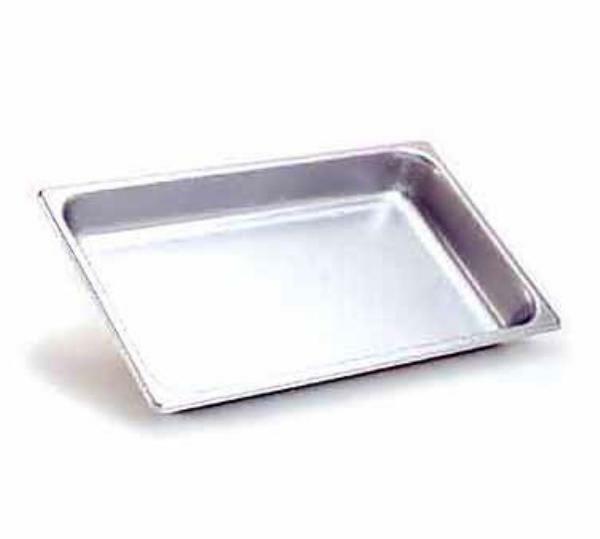 The Browne 22006 full-size steam pan has a capacity of 21.2 quarts, providing space to hold entrées and other large product quantities on food bars. Constructed with stainless steel, it is easy to clean and will not scratch easily. Reinforced edges and corners makes the perimeter resistant to bending. With the anti-jam perimeter, the pan will not stick when being removed from drop-ins or stacked storage. The Browne 22006 full-size steam pan dries completely when stacked after a wash cycle thanks to the ventilating design.